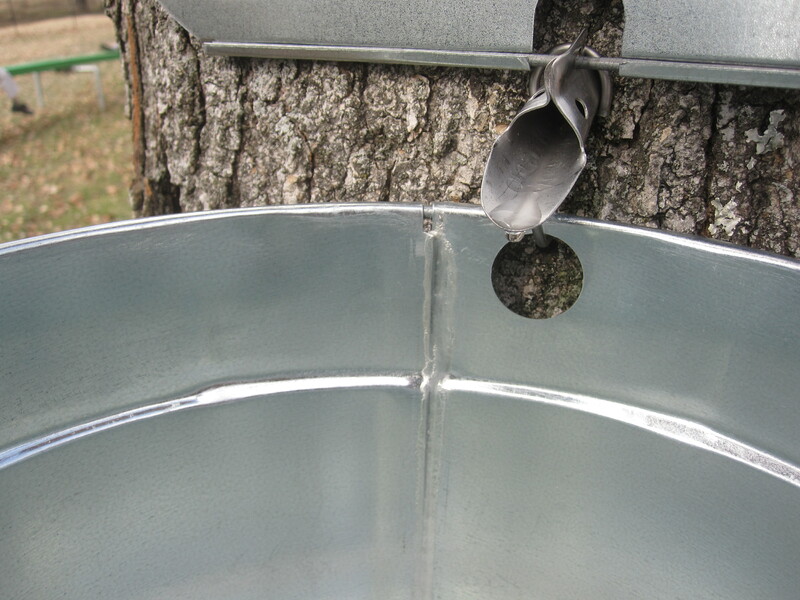 I recently purchased a “tree tapping kit” from TapMyTrees.com. The starter kit has everything we needed to tap 3 of our biggest sugar maple trees. 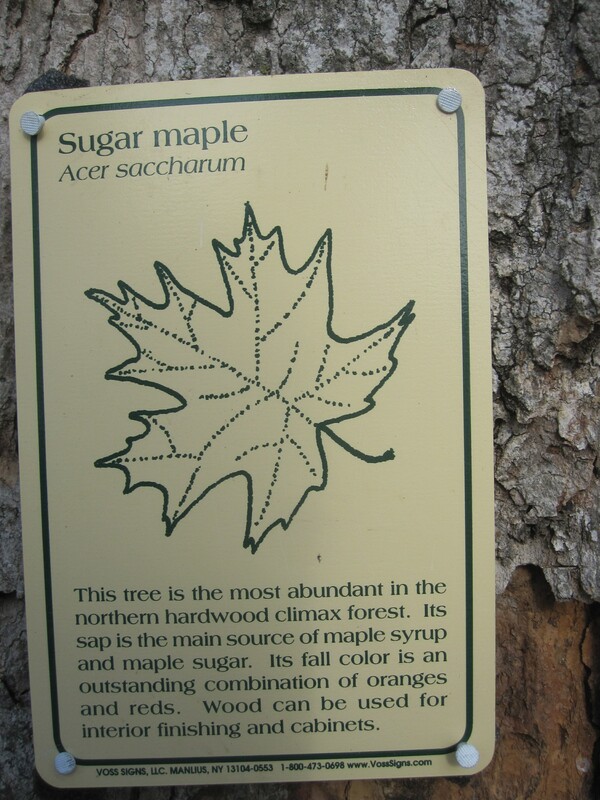 That’s right, we’re going to make our own maple syrup! This was a family affair, everyone was excited. It’s actually very easy to do. 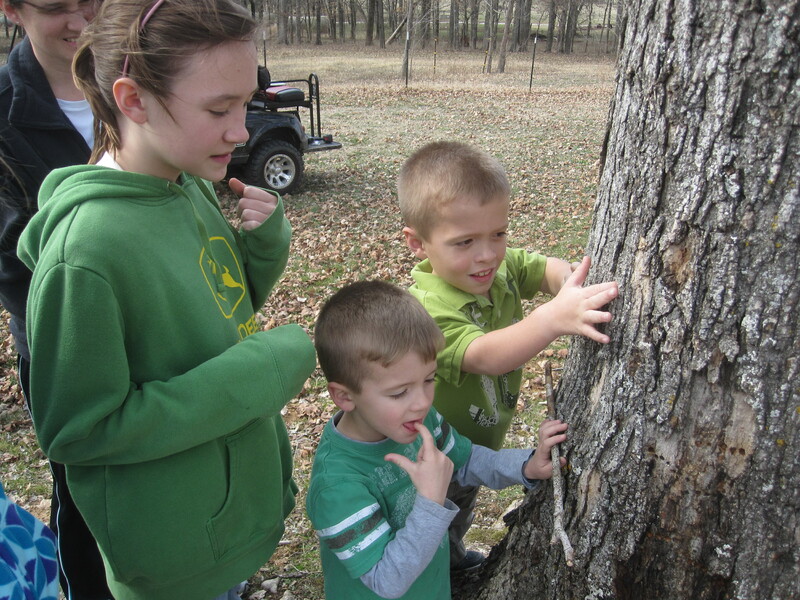 You drill a hole in the tree, and the sap just starts dripping out! I expected the sap to be…well, syrupy. But it really just looks like water with a slightly sweet taste. What I didn’t know was that sap spoils like milk if out in the heat too long. So we lost 2 of our 3 inital batches. 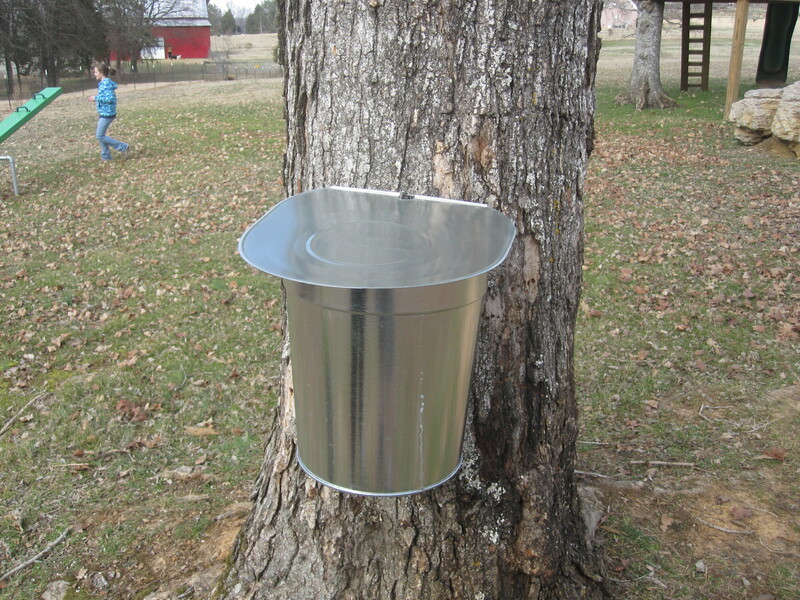 From the 3rd bucket, we got about 3 liters of sap within a few days. I’ll post again when we attempt to boil it down to syrup. Sap just starts dripping out!